Jewellery, cash, a camera, tools and alcohol have been stolen in Crawley burglaries. 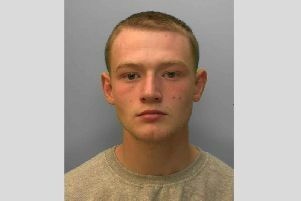 A burglar stole jewellery and cash from a home while its occupant was gardening. Entry was gained to the house in Bearsted Walk, Crawley, via a conservatory on Saturday February 7. The thief searched the house tidily, said police. A burglar stole jewellery from a house in Punch Copse Road, Northgate, between 11.30am and 2.30pm on Wednesday (February 4). The thief’s entry and exit points were not known. Alcohol, a camera and tools were stolen in a garage break in. A burglar forced the lock on the unit in Friston Walk, Ifield, on Sunday (February 8). Anyone with information on the crimes was asked to call 101.